In the wake of recent geopolitical and economic upheavals in Saudi Arabia, please join our panelists as they discuss how U.S.-Saudi relations should move forward, as well as what Saudi Arabia's future means for the greater Middle East and its Western allies. WITTES: (In progress)—residence at Southern Methodist University, but for today’s purposes, more relevantly, was the U.S. ambassador to Saudi Arabia in the years immediately following the September 11th attacks. And he is the author of Desert Diplomat: Inside Saudi Arabia Following 9/11. Carried the relationship through a very turbulent time. And we’ll talk about his advice for today’s turbulent times. And then finally, Aaron David Miller, vice president for new initiatives and director of the Middle East Program at the Woodrow Wilson International Center for Scholars. Aaron is a long-time, deeply rooted analyst of the Arab world and U.S. policy in the Middle East, and also, of course, someone who has long been engaged in U.S. efforts to negotiate peace in the Middle East on an issue on which the Saudis have often, but not always, played an important role. So the What To Do About… Series that brings us together today highlights a specific issue. It features experts who put forward their analyses and police prescriptions in a sort of mock high-level U.S. government meeting. Now, I haven’t asked my panelists here to play roles of secretary of defense or national security advisor. I think they’re all very multitalented. So I’m just going to be asking them the tough questions that perhaps a national security advisor would ask his or her foreign policy experts. And we’re going to push forward from the moment that we’re in, sometimes digging back into the past, and see if we can come up with some specific policy recommendations for the United States in navigating this relationship. So before I begin that conversation, I just want to take a moment to thank Richard Plepler and HBO for their support for the series that brings us together today. And I look forward to our conversation. So, if I can, Ambassador Jordan, I’d like to begin with you. Because of your experience, at a moment when the American people were questioning the value of a partnership with Saudi Arabia, a moment when Saudi’s foreign policy behavior had come home to roost, both for the kingdom and for the United States, in ways that were very painful, and also at an inflection point for the United States in terms of its role in the world, its role in the Middle East, just after the end of the Cold War, you had some very tough conversations with the Saudis when you first got to Riyadh. We seem to be at a moment when tough conversations would, again, be appropriate. And my question to you is as you look at this crisis, what would you want to say to the Saudis in an ambassadorial, honest conversation in Riyadh? JORDAN: First of all, I should point out, it’s very important for us to actually have an ambassador, which we don’t yet. Hopefully General Abizaid will be confirmed and on his way. And I have no doubt that he will be able to deliver the kind of message that I would like to deliver as well, which is: Are you people crazy? (Laughter.) What do you think you’re doing? What were you thinking? And by the way, you have basically slapped America in the face by murdering Jamal Khashoggi, an American resident, father of American citizens, American journalist. But not only that, you have got one failed policy after another, and it’s going to be very difficult for us to continue to support you if you’re off on these reckless adventures in Yemen, Lebanon, Qatar. And you’re going to have to find ways to deal with what the big, tectonic problems are—which is lack of jobs, lack of diversity in your economy. Why are you wasting $5-6 billion a month in Yemen when you should be turning your attention to more productive and important things? WITTES: That is the precarious position of every U.S. ambassador. Karen, you’ve spent a lot of time looking at those tectonic shifts in the kingdom and in the region. And I wonder if you would see this the same way Robert does. Is this about one man’s poor judgement, and we can sit down with him and say: Hey, buddy, reset your priorities and we can work together? Or is this a bigger challenge about the kingdom and where it is right now? HOUSE: I think right now you can’t separate the two because he’s—I do not see his father removing him. So unless he met some unfortunate and untimely accident, we are going to be dealing with him if we want to deal with Saudi Arabia. I would echo the message of the ambassador, but to me the most important message to deliver to him and to Saudi Arabia is that this relationship has changed. We aren’t dependent. Yes, we still have an interest in stability in the Gulf, but the biggest threat to stability in the Gulf is the stability in Saudi Arabia, for the reasons he mentioned. They have 60 percent of the population under thirty years of age. And while some of them are gung-ho for his reforms, many of them who would like to support them and do orally don’t have the capability to really support them. So I think in four or five years, if they haven’t found a way to create jobs, we—the collective we, and the collective world—faces an issue. WITTES: Now, I think if Crown Prince Mohammad bin Salman were sitting on this dais he would say to you: I agree. Our biggest challenge is the need for internal reform, for change in our economic model. That’s what I’m doing. Can you just let this other stuff go and back me up? How would you respond to that? HOUSE: Well, he’s the one that’s not letting the other stuff go. I mean, he has his Vision 2030. And he does continue to seek to advance it. But he is the one who’s got so many distractions. To repeat the one the ambassador—you know, Yemen, Iran, now the U.S. issue with Khashoggi. And I was just in Saudi Arabia for two weeks—the last two weeks of January. And clearly, the thing people want to tell you is this is—this is really—we’re angry about the U.S. reaction. We understand, though, that this isn’t really about Mohammad bin Salman. It’s about people hating Donald Trump. There is doubtlessly some truth to that, but to deny that there is a values problem is to delude yourself. WITTES: Aaron, let me turn to you on this question. Is this about one man who has more power than judgement? Or is this about the kingdom of Saudi Arabia and whether it is still a good partner to the United States? First of all, let me say that it’s an honor to be here with Ambassador Jordan and, Karen, with you, and, of course, with you. Look, here’s my take, first, on the to do issue. I think it was H.L. Mencken who said that in democracy it’s unfashionable—or, in fact, you have no license in a democracy to talk about a problem unless you have a remedy to that problem. And that’s the basic challenge I think we confront. We are all—I know this from twenty-five years of service, and Ambassador Jordan, Tammy you as well, that to do gets in the way of what you need to do. And while honest analysis often leads to paralysis, I think the discussion needs to focus on the issue of whether you have an MBS problem, or you have a Saudi problem. And I would simply argue that a seventy-year-old relationship beginning with Abdulaziz’s famous meeting with FDR at Great Bitter Lake, has proven to be functional. It’s filled with ups and downs. But never, in my judgement, particularly post-9/11, has it reached the dysfunctional state that it is now in. It’s a perfect storm. What had—the adhesive that kept this relationship together, oil for security, is coming undone. We are freeing ourselves from Arab hydrocarbons. Doesn’t mean we figured out the energy security problem because of disruption. Country X leads to economic chaos, presumably in Europe and then in the United States. We don’t need their oil, and we will increasingly need it less. And frankly, they don’t trust us. They need us, but they don’t trust us with respect to their security. Part of it buried in the ashes of 9/11. Part of it’s Iraq. For the first time in 800 years a Shia leader sits in Baghdad. I don’t think any Saudi king will ever forgive the Bush administration for that. Part of it is the democracy agenda under both Bush 43 and Mr. Obama’s own wanting to be on the right side of history in Tunisia and Egypt sent all kinds of signals to the Saudis. So that’s only one. Number two is Mohammad bin Salman. You could argue we prayed for a Saudi leader like this for decades. And yet, really not a Saudi leader like this—a reckless, impulsive, inexperienced persona who could rule the kingdom for fifty years and has left—in my judgement, and we could talk about reform all day long—he’s left a trail of disasters in his wake. And I’m not an objective observer. Jamal was a friend of mine. He was to come to the Wilson Center as a visiting Arab journalist. He’s gone. And when the agency argues with me, given the high confidence that MBS not only had foreknowledge but directed—directed—the killing, it’s not just American values, it’s interests. Robert said, Qatar, Lebanon, repression at home, Yemen. All of these things suggest that the coincidence of interests—of values and interests that you need to have in an ally no longer exists. And finally—sorry to drone on—it’s Mr. Trump and this administration, which appears to have elevated the importance of Saudi Arabia to a level of significance that it, A, doesn’t deserve and, B, a role it cannot play. And we’ve enabled, we’ve facilitated, we’ve appeased, we’ve placated in a way that goes beyond any administration I never worked for. I remember Jim Baker, last point, getting on the plane. We were on our way to Jerusalem and the Saudis just failed to deliver on a statement relating to the peace process. And Baker, in his inimitable Texas style said: These guys—I won’t say exactly what Mr. Baker said—(laughter)—these guys could screw up a two-car funeral. And there’s always been a degree of frustration and antagonism, even during those years. But not now. There’s no reciprocity. There seems to be no perspective. And as a consequence, we are tethering ourselves to a regime that is undermining American interests and American values. WITTES: So since you’ve invoked Secretary Baker, I have to let Robert in on this, his law partner. And I want to start with, you know, how do we understand—I think, Aaron, you just gave a very good rundown of some Saudi grievances against the United States. But there are some American grievances against the Saudis, many of which you had to deal with when you were out in Riyadh. So I wonder how you would put the American side of that equation that Aaron just laid out. JORDAN: Well, first of all, I think this administration has given up most, if not all, of their leverage with the Saudis. They’re treating the Saudis as if they’re the most valued customer in the world, and the customer’s always right. They’re like an ATM machine. And it’s not just a matter of values, but it’s also a matter of power politics. It’s a matter of leverage. It’s a matter of diplomacy. And diplomacy is getting what you want through peaceful means. Sometimes there’s coercive diplomacy, which goes a step further. But the Saudis—I was interested in Karen’s comment that they are now angry at us for the reaction we’ve had to Jamal’s killing. And I had a similar reaction right after 9/11. I would go in first and ask the Saudis: How could it be that fifteen of the nineteen hijackers were Saudis? And I saw Prince Salman, now the king. And he said, oh, no, there were no Saudis involved. This was an Israeli plot. The Mossad did this. And then Prince Nayef, the interior minister, said the same thing. And then there was this wave of Saudi anger at the American reaction to 9/11, at the Americans wanting to hold the Saudis responsible. And they kept refusing to be held responsible. And so you have to convey the American strength of will, the American power base, the general solidarity of the American people behind American policy. And this is—this is somewhat flimsy right now. And so we’re not operating from the same position of strength that I would like to think we could have in years past. And I think we’ve got to recapture that. We’ve got to rebuild our foreign service. We’ve got to rebuild NEA. We’ve got to rebuild our ambassadorial ranks. And so this is all part of how American policy gets made and gets pushed forward. But we’ve got to have some help. WITTES: So when you—when you look at the congressional response to this crisis in U.S.-Saudi relations, it seems to me that this murder—this brutal, horrific, act—crystalized a set of concerns that were—that were already there, right? It was sort of a catalyst. We saw at the end of the Obama administration the passage of JASTA, this law that allows U.S. victims of terrorism to sue Saudi Arabia in U.S. courts. Passed over Obama’s veto, in fact. In the wake of the murder, we’ve seen an upswing in bipartisan concern over the U.S. role in the war in Yemen and some legislation on the move on that, legislation on the move to try and hold the Saudis accountable on human rights and on Jamal’s murder in particular. So it strikes me that as a Washington-based political analyst, there is a pretty broad base of support for a recalibration or a fresh look at the U.S.-Saudi relationship. Karen, can you help us understand why the Saudis don’t see it that way? Why don’t they get it? WITTES: Boy, I thought he was incredibly popular. Isn’t that also what he’s been telling people? HOUSE: He is popular with a lot of young people. HOUSE: But I just had somebody this time—which I thought was a very perceptive and poignant quote of a very religious man whose son is in prison. He’s been in prison since age fifteen, and he’s now seventeen. And he said: I visit my son in prison. And I see Saudi women visiting their sons wearing tight Levi’s and t-shirts. And I wonder if they think the freedom to dress like that is worth their sons having no freedom to speak. So, you know, he—I think—I think young people, a lot of them, do like the idea that we’re going to have Mariah Carey singing. But for many people, that’s beyond what they can afford. So that, again, is—much of it is aimed for Western consumption. WITTES: So there’s a question about this new Saudi Arabia that the crown prince said he is working to build. Who is it for, really? And how many of that 60 percent of Saudis who are young are actually going to be able to afford the benefits and the opportunities that he’s constructing? Is that—am I understanding you correctly? HOUSE: Yeah. I mean, a lot of people don’t—they see this as a—the Saudi populace is as skeptical of us and him, at some level, as our populace is of them. But, you know, they fundamentally see him as performing like a puppet on a string for Donald Trump, which is a clear exaggeration but that’s the way a lot of people see it, that this is all aimed at the elite, aimed at showing America how Western and how modern—they don’t want to be called Western—how modern we are, and not something that the bulk of the populace is interested in or participates. So I think that is another of his problems, that fundamentally much of the society seems to be passing. They take the position: Show me. If you deliver, great. If you don’t—so they’re not helping with reform. WITTES: OK. So I want to—I think that’s something we’ll want to get back to. But for a moment, I want to pull back to the U.S. side of this relationship. Aaron, you suggested that perhaps American interests in the Middle East, or the balance of interests and needs in this relationship is shifting. And you can say, on the one hand, because of changes in energy markets, but also because of the rise of China and Russia, the need to focus attention on other regions, the opportunity costs of being so intensely engaged in the Middle East is increasing for the U.S., right? And that shift away from the region that was begun in the Obama administration in certain ways is continuing in the Trump administration, that’s creating anxieties for our partners out in the Middle East. So how do you—how would you define right now what America’s core interests are in the Middle East, and what role Saudi Arabia can play? MILLER: Yeah, I belong—I mean, this is an annoyingly negative answer, and I apologize in advance. (Laughter.) You know, my own view of this region is that it’s broken, angry, and dysfunctional. HOUSE: That what, I’m sorry? MILLER: Broken, angry, and dysfunctional. The U.S. is stuck in the middle of it, and we have a conundrum. We cannot transform the region. We spent—well, we are continuing to spend time in Afghanistan and Iraq. I think we’ve given up transformation. We can’t transform it, you cannot extricate. So if there’s no transformation, and there’s no extrication—and there isn’t. There is no extrication. We have allies, adversaries, and interests in this region. Then the question is, what is the right course? And I would argue it’s transaction. WITTES: Well, let’s start with the interests. MILLER: Well, look, three vital interest in my judgement—three and only three. Number one, preventing another attack on the continental United States, and to the degree that we can assist our allies in stopping transnational jihadi terror. The organizing principle in any nation’s policy is protecting the homeland. If you can’t protect your homeland, you don’t need a foreign policy. And frankly, over the last eighteen years—whether by we’re getting better, luck, policies of Bush administration, Obama administration, Trump administration—not a single terrorist attack successfully directed by a foreign terrorist organization against the continental United States. The hundred Americans that have been killed in jihadi-related attacks have all been killed by permanent legal residents or U.S. citizens. So I even question the notion of sanctuary in Afghanistan and Iraq as being critically important to dealing with this problem. So that’s number one. MILLER: It’s not—it’s not Ohio. It’s not Michigan anymore. It’s here. And three, preventing the emergence of a regional hegemony with a nuclear weapon. Now, I would argue—I know that’s—those are very transactional, very hard sort of interests. It leaves out resolution of the Israeli-Palestinian problem. If you do it, great. It leaves out the promotion of American values with a view toward helping Arab societies restructure. Important if we could do it. That is my view. And to assume that Saudi Arabia somehow is a—can lead the way in furthering American interests, I think is simply wrong. Finally, I’ve allowed—I know Iran is viewed as the threat to the fulcrum of Western civilization in Washington. I understand that. And I’m not here to write a brief for the Iranians. They’re serial human rights abusers. They clearly have the power and the capacity to meddle in other people’s affairs. But we have allowed ourselves to be dragged into this morality play with respect to Iran. And we are being exploited and used, I think, by the Saudis, who have a preternatural interest in seeing us there. So I’m not arguing that we embrace Iran. We should confront the Iranians when they undermine our interests. We should cooperate with them when they can be seen as furthering our interests. If you want to deliver the Saudis a wake-up call, start a dialogue with Iran. I know it’s politically incorrect. It’s out of school—everybody’s school in Washington. But frankly, we need to reinject a measure of balance back into our policy. So just to conclude, can Iran help us confront—can Saudi Arabia help us confront Iran? I think they’re expanding opportunities for the Iranians, frankly. Can they help us on Israeli-Palestinian peace? Maybe, we’ll see. Mr. Kushner’s going to unveil his plan sometime after the Israeli elections. We’ll see how MBS and King Salman responds. On oil prices, I think the Saudis will do what is in their interest. And it is in their interest to maintain market share and not drive the United States and the rest of the West into renewables. So I’m not a—I’m not a proponent, not for abandoning them, for sure, but not for a full embrace either. And that’s the question. How do you identify a policy between abandonment and embrace? WITTES: OK, so uncritical embrace on one side, abandonment on the other. Now there are some who would argue that the focus of American policy under the current administration on Iran and the Iranian threat to the region can actually be an organizing principle to bring Arabs and Israelis together, to constrain some of the unconstructive, destabilizing behavior of some of our partners, get them all pointed in the same direction, united behind the same goal. That’s what this Middle East Strategic Alliance is supposedly about, right? Just this week there was a meeting in Washington at the undersecretary level of this Middle East Strategic Alliance, which includes the six Gulf Cooperation Council countries, and the Jordanians, and the Egyptians. It hasn’t fully taken form yet. It’s something the Trump administration is trying to persuade these countries to do. And I’ve heard two very, very different takes on this. And I’d like to put this to you for reaction. One is, yes, we can use this to push for conflict resolution on Yemen, to give the Iranians fewer opportunities, to overcome the splits within the GCC, to get the Saudis and other Gulf countries to reach out to the Iraqi government more. Right, this can be a way to redirect their behavior and keep the United States engaged in the region on something where we all agree. The other view I’ve heard is—and I hear this sometimes in the region—this is just a way for the United States to stand up a regional apparatus so that you, Americans, can leave and abandon us to deal with all these problems on our own. So how should we think about the Trump administrations Middle East Strategic Alliance? Is it a way to get everybody lined up and keep the United States engaged? Or is it a way for us to get out? If I were sitting in the region, should I be on board with this thing or see it as a threat? Karen, you want to start? HOUSE: You talking to me? HOUSE: I honestly don’t think, unfortunately, that we have a strategy that’s as clear as those two options. I really do believe that both President Trump and Mohammad bin Salman are into throwing stuff on the wall and seeing what sticks. That they are transactional, to use the word that’s been used. So you know, if you could get all Arabs to agree, and use it as a cover for getting the Arabs and Israelis together, and make them forget the Palestinian issue, and let’s all confront Iran—which is the bottom line of the strategy as stated—I don’t object to that. But I think it’s unrealistic to assume all the Arabs are going to get together. And that I don’t know who’s playing who the most on the Israeli, you know, we’re going to have a Netanyahu-MBS meeting, but I don’t see how that a leader of Saudi Arabia can sign onto at least recognize Israel when the—unless East Jerusalem is somehow a part of that. Because the religious folks in Saudi Arabia are lying low now because everyone’s lying low. They have basically been told, you stick your head up and you could lose it. But something like that I think is the kind of thing that could perhaps rally people around, and particularly if it’s a few years from now when the jobs aren’t materializing. That the young and the, quote, “conservative”—and there are young conservative people too—but those two parts could once again find themselves together on something. WITTES: So your advice to a U.S. government would be: There is no regional strategy that doesn’t include serious Israeli-Palestinian development? HOUSE: Yeah. I think I’m with Aaron this. I think—again, being a diplomatic correspondent in 1978, right after Sadat has been to Jerusalem. So I thought, wow, this is all going to get fixed. And now, forty years later, I’m smarter. So I don’t think it’s going to get it’s going to get fixed. And I agree with him. One should look at what are the interests we have. And I repeat the one I put out there, stability in the Gulf, because we don’t need oil, but others do. And just focus on counterterrorism and, I would argue, transformation in Saudi Arabia. JORDAN: I would say that the only strategy I define, or I perceive right now is the notion of simply muddling through. And we’ve been doing this for quite a long time. But we’ve even, under President Obama heard him say: We need to have the Arabs take more responsibility for their own neighborhood. Trump has also said some of those same things. And that’s a nice idea. But they have to be able to do that. And they haven’t shown that they can do it, certainly not from a military standpoint. The Saudi military is not really a military, even though they’re the third-largest arms purchaser in the world. We haven’t seen any genuine efforts at regional diplomacy going on. The best diplomacy example I think has been the Saudis have said that in order to solve the war in Yemen, the Houthis simply needed to lay down their arms and walk away. Well, that’s not diplomacy. That’s maximalism. And this is what you see throughout much of the Gulf. It’s maximalism. It’s a zero-sum game. And so I don’t see much likelihood of progress. Also, it seems to me, that the Arab-Israeli—the Palestinian-Israeli conflict is not any longer as key to resolving issues in the Middle East as it once was. Now, when I was serving as ambassador, everything wrong with the world in the eyes of the Saudis was the fault of Israel. Now everything wrong with the world is the fault of Iran. And the Israelis as the regional villain have gone way down the list. And they’re cooperating with each other. The Israelis are selling surveillance systems to Abu Dhabi. They’re doing business back and forth. And so the paramount nature of it may be more reflective of the geriatric leadership that typified Saudi Arabia, and still resides in King Salman, who is probably more militant about that than his son, MBS, is. WITTES: So you think that after King Salman is gone from the scene, you might see a very different Saudi policy toward the Palestinian issue? JORDAN: He’s already contradicted MBS on Jerusalem a couple of other things about a final solution publicly. So I think we will likely see a more pragmatic approach to the Israeli-Palestinian issue. As long as Iran, again, is kind of the organizing principle of how the Gulf and how the Trump administration view the world. HOUSE: So you think he—if the king, excuse me, were to expire tomorrow, that MBS’ real instinct is to get on with it vis-à-vis Israel? JORDAN: I think he would—there would be a much greater likelihood that an MBS-Kushner peace plan could be forced down the Palestinians throats than if King Salman were still alive. WITTES: OK. So I think we’ve got a very interesting thing to—point to watch here, because Karen suggested that the issue of Jerusalem might become a rallying cry for domestic dissent, which can’t organize around domestic issues. And you’re suggesting that at the level of the leadership the younger generation is ready to let this go. So we could have a real gap between rulers and ruled in the kingdom on Jerusalem. JORDAN: A generational gap, perhaps, yeah. WITTES: Yes. Aaron, I have to come to you on this, both because of your long experience jawboning the kingdom and other places on Palestinian-Israeli peace, but also on this question of what do the Saudis really have to bring to the table on regional diplomacy? It’s certainly true that in the last few years we have not seen them using the diplomatic toolkit very much. But typically, the United States has relied on the Saudi’s checkbook diplomacy, right? Whether it’s with the Palestinians, the Egyptians, the Jordanians. In fact, right now I think without that Saudi checkbook the Jordanians would probably be in a pretty bad place. And that’s an issue of significant concern to Israel, as well as the United States. So how do we evaluate what the Saudis can bring to the table for the U.S. right now? MILLER: You know, the region is changing. And I never thought I would see a situation where an American decision in December of 2017 to recognize Jerusalem as the capital of the state of Israel, and then six months later to open up an embassy, and then last week to merge the consulate with the embassy, elicit as weak, tepid, and vacillating a response throughout the region. I mean, it’s head-exploding, frankly, to contemplate. And it gets to Robert’s point about the exhaustion and fatigue particularly in the Gulf with the Palestinian issue. The fact that new threats have emerged—Iran, transnational Sunni jihadis—that seem to be more on the mind of the Saudis, the Emiratis, than concern or regard for the Palestinian issue. And it first hit me in the summer of 2014, during the third—2008, 2012, 2014—latest round between Israel and Hamas. Two thousand Palestinians were killed. A large percentage were Hamas fighters, but a large percentage were civilians. The silence in the region was deafening. It is remarkable that Israel has better relations now with the Sisi government than at any time—any time—certainly much better relations than Sadat had with Begin. The Jordanian-Israeli relationship is functional. Israel now has ties with 160 countries in the world, better relations with the five permanent members of the Security Council. Mr. Netanyahu cancelled his trip to see Mr. Putin, because he’s engaged in trying to figure out how to be reelected. But he’s had eight or nine meetings with Putin. His relationship with Donald Trump. All at a time when you have the most right-wing government almost in the history of the state. With no serious designs on a peace process, and as Israeli settlement policy continues. What is—what is happening? Now, that doesn’t mean they’re going to settle—the Saudis are going to settle the Israeli-Palestinian issue. I don’t think they will. But this is a—it’s not your grandfather’s Middle East, or father’s Middle East, frankly, in many—in many respects. WITTES: So you think that maybe Jared and his father in law are right to put all these eggs in the Saudi basket? MILLER: No, I don’t. (Laughter.) When I met Mr. Kushner for the first time, I said I wish my father in law had as much confidence in me as your father in law has in you. (Laughter.) Because he’s given you mission impossible. No, there is absolutely no chance—barring a fifty-page document that actually addressed core Israeli as well as Palestinian needs—that his plan has anything other than a chance of drawing a yes, but from the Israelis, probably a yes, but in some regard from MBS, and probably—almost certainly a no from the Palestinians. And that’s where it will probably sit. WITTES: OK. Before we open it up to questions, and that’s a head’s-up to all of you to think about your questions—there’s one final point I want to put to the three of you, which is that, OK, despite the assertive, some would say crazy, regional policies, despite the horrific murder of Jamal Khashoggi, despite the mis-judgements about the interactions with Washington, the one thing MBS is really committed to that we should invest in is a vision of Islamic reform. That he’s going to moderate the Saudi role as a leader of the Islamic world, and he’s going to put forward a vision of Islam that is better for us and better for the world. So Tom Friedman, for example, even though he has misgivings on a lot of dimensions of Saudi behavior, continues to press on this point. I think Dennis Ross has written more or less the same thing. I’m curious for your evaluation of this. HOUSE: I think he is not going to become an Islamic fundamentalist, because I think he understands that he would have to do quite a bit of gymnastics for that to be not a danger to him. I think he is—I mean, he—I know people here don’t believe it—but I would say the biggest winner of Vision 2030 so far is Saudi women. There are things that are changing for the better for them. And if you allow all of this entertainment, music in ever restaurant when it used to be totally forbidden—I mean, you can’t—I don’t think you can flip the switch back on that. So the Islam he is promoting is not one that is compatible with covering everybody up again and telling them to go home and stay there. So I think that is in our interest. The question of can he—you know, can he pull it off, you know, remains to be seen. But I do think his desire for the future envisions him being totally in charge. But in charge of a country that is not on its knees to the religious authority in Saudi Arabia, and not unleashing terrorists on us. WITTES: So it’s state Islam. That’s—it’s a state Islam, is that—it’s state Islam, it’s the state that decides. And this is—rather than having Salafi preachers describe this. I mean, he’s in charge. HOUSE: Yeah. He’s in charge. I mean, he is not willing to share power with the rest of the royal family, or with the religious establishment. It is a one-man show. JORDAN: Well, first I would say that the real winner in Vision 2030 is McKinsey and Company. (Laughter, applause.) And they have sold these plans throughout the Middle East. JORDAN: For decades. And this is—you know, they’re still already working on Vision 2030 2.0, I think, now. Secondly, the crown prince announced that he was going to move the kingdom back to a more moderate form of Islam. And he was very clever in his wording, because he was implying that he was—he was the traditionalist. He was the one going back to their traditional peaceful, touchy-feely, you know, good karma type of Islam. But if you go back and look at that Islam promulgated in the 18th century, it wasn’t so peaceful and touchy-feely, even at that time, number one. Number two, they continue to propagate through the madrassas around the world and the mosques they’re building around the world the same kind of fundamentalist Wahabi Islam that he is criticizing to the press. Go ask Mahathir Mohamad in Malaysia how that’s working out. They have been throwing out some imams who were elbowing their way in and creating great angst among the population. Those textbooks still compare Jews to monkeys. They still talk about jihad. And so once they start changing the textbooks, once they start changing what’s going on in the mosques that they’re subsidizing around the world, then we can believe this guy. But up to now, I don’t believe it. MILLER: You know, amidst all the train wrecks that he’s created, one of the more redemptive aspects is the fact that leadership can be employed or deployed for both good or ill. And, you know, the question of time is an interesting one. It’s clearly an ally. If in fact this man undergoes some sort of transformation, true transformation, and develops this sort of prudence, and wisdom, and judgement that is necessary, you know, to emerge as a truly transformative leader—I’m thinking Mustafa Kemal Ataturk, for example—with all of his negative failings maybe Ataturk was the only sort of agent that could drag Turkey, save it as a state, and then align it to have emerged as probably, along with the Iranians and the Israelis, the Turks, three non-Arabs, are the most consequential powers, in my judgement, in this region today. 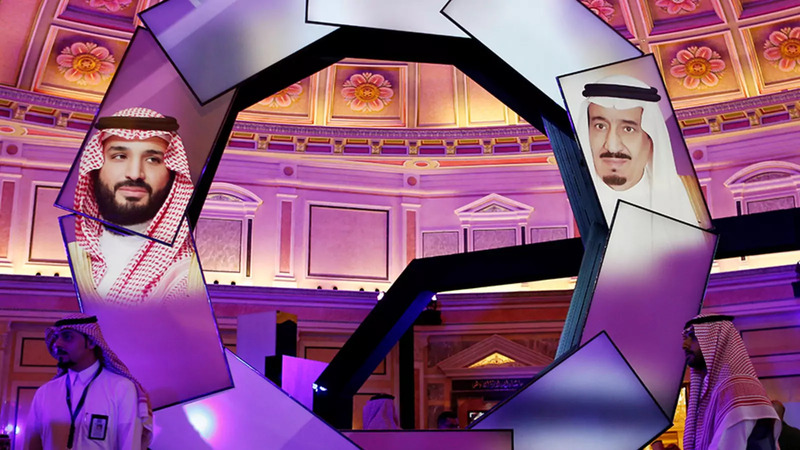 Saudi Arabia is the one exception the Arab world that seems to be—it’s dysfunctional, but it has the capacity, we’ve seen it, to project its power. If that power were directed in a wise manner, maybe. But, you know, I’m thinking Marx, not Groucho here, Karl Marx. (Laughter.) You know, he’s writing in the 19th century. He said that men—he’s writing in the 19th century, so forgive me, but I’m quoting him accurately: Men make history, Max wrote, but rarely as they please. And that’s the real problem here. I mean, he’s confronting huge constituencies that he’s pacified, co-opted, or repressed. But everybody has a grudge, it would seem to me. And his personal security, I would think, is a—and I’m sure the Israelis are in fact assisting him with this on the intelligence side. I think there’s a real problem. And transitions in Saudi Arabia—you guys are the experts—outside of the normal succession process, have happened only twice. Once with King Saud, a sort of forced application, and then King Faisal. WITTES: Or, to use President Trump’s phraseology, we fell in love. HOUSE: But he had no—he really had no history. He was a largely unknown young man, very attractive, very articulate, very charismatic, very confident. And—you know, and I’m going to fortune in a way—different way. All of that. It’s not surprising it appeals. WITTES: But I would say I think there’s a long history in American foreign policy of our projecting our hopes and wishes onto young autocratic leaders and seeing them as grand partners. HOUSE: Yeah. I think Americans really don’t appreciate how fundamentally different this society is from the culture, history, and traditions there. We never had divine right of rule. And Europe gave it up, you know, centuries ago. But it’s all still alive and well. And so holding onto power anyway you want, and doing what you want, if you’re the ruler, is beyond question. WITTES: Yep. All right. I am going to open it up to our members for—to join the conversation. I’m going to ask you, please first remember this meeting is on the record, including your questions. Number two, wait for the microphone and tell us your name and affiliation before you ask your question. And that was a singular. (Laughter.) We’ll start right here in front. Other side. There you go. And I have to say, a lot of people—I ask a lot of questions. And they usually compliment me because I want to ask a question that hasn’t been brought up. But this was one of the best discussions we have ever had. And thanks to the moderator and all the speakers. Really wise. Q: So I dug to ask this question, because everything else was already anticipated. On the issue of Saudi hydrocarbons and their capabilities, and the shrinking importance of that, my question is, how important is it to the United States’ interests that our allies, our friends around the world, still have access to those hydrocarbons that may—they’re not as endowed as we are with the fact that we are energy dominant, to use our president’s words. What is our obligations? What are—in terms of our interests—going forward? How—the hydrocarbon issue has had us by the neck for the longest time. But aren’t we still on the hook? WITTES: It’s complicated. Right. Aren’t we still on the hook, because our allies, our largest trading partners are still dependent on Middle Eastern oil? And the United States has this role, which we’ve had since ’56, of being the guarantor of those energy flows out of the Gulf to global markets. So are we stuck in this role? Who wants to take that on? WITTES: So that hasn’t changed, from your perspective? MILLER: It would be important, but we can’t do it without an enormous amount of buy-in from the Israelis and Palestinians. But the answer is yes. The Saudis will remain—I mean, they have something that we will never. They have a top-down, governmentally driven oil industry, which can ramp up and cut production quickly. And they have spare capacity. We out-produced them, I believe, last year. But no matter how dominant the president things we are, we don’t have what they have. With respect to hydrocarbons, Saudi oil is cheaper, also, to produce. I just think that, yes, that is—that is a core interest. Which means far from wanting to destabilize the place, we have a stake in making sure that it’s stable. JORDAN: Just imagine if the price of oil went to $250 a barrel. What would that do the American economy? All of our customers around the world for American goods and services would be going bankrupt. And so it’s really not even a matter of helping our allies. It’s a matter of preserving our markets and preserving the economy of the world from a catastrophic worldwide depression. HOUSE: I’m not quite as apocalyptic. (Laughter.) I covered energy my first job at the Wall Street Journal, when times were very different. You know, right after the embargo. I think that stability there is a vital interest, but I think if the Saudis—if you had someone else in charge and it came about in a way that wasn’t completely disruptive, you know, they will pump oil. They need to run the country. They have a society now that has very high expectations. I mean, these kids that—the people under thirty, the Palestinian issue is the like the Revolutionary War to us. They have no idea what it was or is, you know. And I think they have—they’ve grown up on having a lot. So whoever inherits this young population is going to have to provide for them. So I tend to think that our allies could contribute more to the efforts to stabilize the Gulf. And instead, what we have now is us on the Saudi’s side, excessively as Aaron said, and everyone else on the Iranian side. But the global economy is slowing anyway because Chinese economic growth is slowing. So, you know, some of the demand is—the growth in it is probably going to be less than the straight-line projections people have. WITTES: Thank you. Larry, right in the middle. Q: Larry Garber. I’m an independent consultant. So I’m a little confused. And I guess this is directed to Aaron, but to the others too. You outlined there are three major core interests of the United States in terms of relationships with Saudi Arabia. And when I look at them, and again forgetting the values. I mean, I care about the values. You probably care about the values. I don’t think this administration cares about the values, so that’s not on their list. They’re serving—you know, they’re accomplishing their goals with Saudi Arabia. The Salafi radical threats have been, you know, put down, you know, compared to the way it was in 2000-2001. We don’t think of it in those terms. The relationship in terms of hydrocarbons are also—it’s as best as we could expect, in terms of the current relationship. The third one, the emergence of a regional hegemon, I mean, again the perception of the regional hegemon is Iran. And, again, the American interest therefore is supporting those who are antagonistic to Iran. Whether or not this is the best way they could do it, they’re certainly serving that interest. And then the fourth one, which you sort of put aside, which is the Israeli-Palestinian conflict, there—again, this may not be a core national interest, but it’s certainly a strong political interest in this country. And, again, it’s certainly serving that political interest in terms of what the administration is doing. So why should we—why should the administration stop its current policies towards Saudi Arabia? They seem to me, at least, to be accomplishing what are their perceptions of American core interests in terms of the relationship? MILLER: I just think we’re paying a huge, exorbitant price. And I’m not sure that I would agree that they’re serving American interests in some of those boxes. If Robert is right, and I have no doubt that he is—the New York Times ran a fascinating story I think last year on mosques in Kosovo—the Saudis are fundamentally—I mean, it’s almost as if they’re a wholly owned subsidiary of the government of Saudi Arabia. So the real question is whether or not the Saudis are continuing the feed the jihadi narrative. Now, I’m told that the export of Wahhabist doctrine has been curtailed. I don’t know if that’s true. WITTES: Well, King Abdullah spent $150 billion surviving the Arab Spring. MILLER: He did. And the fact is, you know, it’s, you know, womb to tomb, cradle to grave approaches to societies are very expensive. But I don’t—I just don’t see why we have to pay the price that we’ve paid. And I’m not arguing we should abandon the relationship. But it fundamentally needs to be reset. There has to be a measure of reciprocity. You’ve outlined what you consider to be reciprocal interests. And I think some of them are very legitimate. But we’re paying far too high a price in our interests, and definitely with respect to what we are supposed to stand for. HOUSE: I just want to say I think everyone thinks Saudi Arabia is such a wealthy country. And we talked about their checkbook diplomacy. And they’re not down to their last 100 billion. But they are—(laughs)—they are, if you will, strapped for cash. I mean, he—they spend something like 10 percent of their GDP, and probably more, but at least that’s the reported level, on defense. The Ritz Carlton affair drove a lot of money out of Saudi Arabia. And the Khashoggi murder is keeping a lot of foreign money out, for reputational risks. So they are continuing to spend on tourism, to spend in all kinds of things. But he wasn’t able to do the Aramco IPO. So they didn’t get that anticipated $100 billion to invest. And when you have troubles, they are the checkbook, the banker, for the Jordanians, and others, as has been said here. And when—and when there is opposition in the kingdom—as Tamara just noted, King Abdullah spent $130 billion on giving everybody more money after the Arab Spring. I guess they can find another 130 billion (dollars), but, you know, it no longer grows on trees. And the oil price is far below what they need to fund their budget. WITTES: Yeah, so we may also see the Saudis borrowing a lot more in the years to come as well, which could change the power relationship between these two countries, and perhaps give the United States more leverage as well. Q: Barbara Slavin from the Atlantic Council. Pleasure to see all of you. Is this on? Yeah. I wanted to drill down a little bit more on the economy. Karen, you have just been there, what is the nature of the economic activity? Are there jobs being created? Is the bureaucracy being lessened for Saudis to start businesses? And what is the impact of all the foreign laborers leaving? We hear that thousands and thousands, maybe a million even, foreign laborers have left. Are Saudis actually willing to do the sorts of jobs that the Pakistanis, the Indians, and others were willing to do? Thank you. HOUSE: This time one hears a lot about the—I mean, the private sector, as someone said to me, was supposed to lead the way forward. And instead, it’s on its knees because the events of the first two years has unintended consequence. When they cut the benefits to people and they screamed, they restored those. But in 2018, they imposed the reduced energy subsidies and sent everybody’s energy, water, and electricity costs up. They imposed a VAT tax. And they imposed all of those levies on foreign workers to try to grow, quote, “non-oil revenue,” because that’s what Mohammad bin Salman measures himself on. And instead, what happened is, you know, economic—consumer spending just crashed. And because the private sector in Saudi Arabia’s always been dependent fundamentally on government contracts, which the government no longer can afford to provide at the level it used to. And then you whack consumer spending and, you know, the private sector is in bad shape. They, I think, seem to understand—Mohammad Tuwaijri, the minister of planning and economy, said in an on the record interview—so I’m not violating anything—about their targets, we can miss them by a year or two, but not five. But they—I think they can miss them by five, if they’re actually showing progress. But the problem is the progress. So the only real progress you see is more women working, women driving—although you don’t see a lot of that—and all of this entertainment, you know, bread and circuses. But there’s more circus than bread. You know, clearly people are not hungry, but they have to create three hundred thousand jobs a year just to stand still. And unemployment has been stubbornly at 12.8-12.9 percent. And among the young crowd, the—it’s said to be multiples of that. So there is a—you know, a looming issue out there. The budget this year is the biggest in Saudi history, but a lot of the private business people don’t believe they will actually spend the money. So they are nervous. And, you know, the money—the nervousness feeds on itself. So you hear people also talking—and I’ll shut up—that, you know, we have to find a way to keep the young people with us. We have to make them enthusiastic. I’m reading a book on Napoleon. And he is quoted as saying, when he became emperor: You have to—you have to dazzle. And I think that’s a large part of what the Saudi strategy is now—try to dazzle with Mariah Carey, and a golf tournament, and other things. WITTES: Yeah. I think just what I observe as well is that you can grow non-oil revenue, or you can grow the non-oil private sector, but you can’t grow them both at the same time, right? And when I was in the kingdom last year on a couple different visits in the wake of the imposition of that VAT, you had a lot of businesses squeezed by that because consumers did not want to pay it, and businesses had signs in the window saying: We’ll pay your VAT. Just to try and encourage people to come in. So the government cannot simultaneously put pressure on the private sector to invest, grow, hire, while they’re squeezing them for money. And that is what they’re trying to do right now. There’s just this internal inconsistency. I think there’s also a question of state investment in the non-oil sector and private non-oil sector. And I’m sure you hear this as well, the sort of complaints from folks in the private sector that the investments of the state investment fund are crowding out private investment. So these are inconsistencies that they just have to bite the bullet and resolve. And until they do, I think it’s going to be very hard to achieve their economic goals. Q: Thank you very much. I’m Jack James (sp) from Johns Hopkins. I wanted to bring up a subject which we are seeing this week in the press, and that’s the sale of nuclear reactors. And I wondered how you feel about that? I just came back from the Munich security conference and there are people who believe that Saudi Arabia’s really interested in hyping the Iran thing because they want the bomb themselves. HOUSE: That Saudi Arabia is really a what? Q: The Saudi Arabians are actually interested in getting a nuclear capacity, and don’t mind hyping the Iran problem to get it. And to you, if I can say, in your book that was published, I think, in 2012—your book, Karen—you said in there that Saudi Arabia at that point looked it was the Soviet Union collapsing. Do you still believe that? HOUSE: I said it was like the Soviet Union, in that it was going to have one old man after another, perhaps—who was—who had no energy or vision to do anything, and thus by the time they got someone it might be like Gorbachev in the Soviet Union. Now, clearly, Salman ended that, the one old man after another. So I like to say it used to be a silent movie with one old face after another flickering by. And now it’s an Imax movie on fast forward. (Laughter.) So they have this young leader. And he’s trying, like Gorbachev did, to change things to say the al Saud dynasty. And he is not—Gorbachev never could get the Politburo and others to do what he wanted. Mohammad bin Salman has so far simply pushed the religious and royal family out of the way. But they are not signing on. And the populace, as I said, many of them are quite sullen and passive. So he’s basically betting on the strong will of one man. I can tell you the house is on fire, and I’m the only that can take you to the exit. And whether everybody is following, I think the big deadline will come in a three or four years on the jobs front. WITTES: Robert, on the nuclear issue? JORDAN: Well, there are no criminal violations, apparently, so I don’t think you could be indicted for violating that act. But the point is, Section 123 of that act requires that at the first discussion of a transfer of nuclear technology to another country Congress must be notified. And they get, like, ninety days to be aware of and be consulted on the progress of these discussions. But it requires that the receiving party agree to not enrich uranium and to not reprocess spent fuel, both of which could be used for weaponizing the fuel cycle. The Saudis have been reported to be unwilling to agree to that. By, by contrast, the Emiratis signed a 123 agreement several years ago, and agreed not only to that but also to IAEA inspections. And this is all called the gold standard. The Saudis have rejected that, which particularly in light of the events of the last year and a half or two years makes one wonder how sincere they are about sticking to a peaceful program designed for power plant usage and so forth. So is it possible they’re hyping it with Iran? Certainly. And it also appears quite inconsistent with the act. Congress is now talking about oversight here and intervening in this process, which of course is appropriate. WITTES: Aaron, I know that the constant refrain when the United States faces these questions about potentially selling nuclear power or nuclear technology is that if we don’t do it, the Russians will, or the Chinese will, or the North Koreans will. So it’s in our interest to do it, even if it’s imperfect. MILLER: Not on this issue, in my judgement. I mean, you know, the 123 section of the 1954 Atomic Energy Act has very detailed metrics as to what a country needs to do in order to allow the transfer of U.S. nuclear technology. And the comments that it made are extremely worrisome. And they’re not—it’s apples and oranges. I mean, the Saudis can’t say: We want to reserve the right to enrich like the Iranians and ask the United States for its nuclear technology. Iran went off on its own and developed a program to produce fissile material. So it’s not the same. I do think that a legitimate case can be made for Saudi reactors. But not without creating. And at Munich security conference, I think the deputy energy secretary made a very strong statement on not circumventing the 123 process. HOUSE: And freeing political—freeing Pakistanis held in jails, when thus far they haven’t been prepared to free their own citizens in jail, yeah. MILLER: I mean, go figure. The Israelis have their nuclear program, and they obviously haven’t consulted very closely with the United States in producing that. WITTES: Indeed. All right. We have ten minutes left and a lot of interest, so I’m going to see if I can get us through some lightning rounds. Sir, right here. Q: Thank you so much. Mark Finley with BP. How big of a deal and how durable are the divisions within the GCC? And how important is that for regional stability and for U.S. interests in the region? JORDAN: The divisions are real right now, and they’re probably getting wider. This blockade of Qatar appears to not have any end in sight, even though Qatar did, apparently, participate in a military meeting in Riyadh recent. The blockade has not only thrown Qatar into the arms of Iran and Turkey, but these divisions now appear to be spreading to Oman and Kuwait as well. And so the solidarity with them has eroded. And you’re basically down to the Saudis, and Emiratis, Bahrain as a client state, and Egypt. And so this is a very serious problem. It’s especially a problem for the United States because we have our air base at Al Udeid outside of Doha. And the interoperability of GCC assets is compromised there. We can’t use the base nearly to the extent we need to be able to. And we also can’t, as we’ve all talked about, try to encourage the Gulf to take more responsibility for their own neighborhood, when they can’t even agree among themselves. So I think this is a split that is widening but has great danger. At the same time, there are some opportunities. For example, Oman has been asked to mediate in some of these disputes. And they have done so in the past. They, of course, were also the site of these secret negotiations with Iran on the JCPOA. So there may be some opportunities here. But right now, it appears to be widening. WITTES: And I’ll just add that in addition to the generational succession that is slowly taking place in Riyadh, we’ll also have successions in Oman and in Kuwait that will be quite consequential to the dynamics amongst the GCC members. We’re going to have to watch that. I see two in the corner. Maybe we can take you two together? Q: David Young, Oxford Analytica. We were asked by an American general a little while ago: Can you guys tell me, are we halfway through a hundred-year war? I want to connect that to the jihadist narrative, which was mentioned. Did you feel that the jihadist narrative is on the decline or on the increase? And how does that affect the long-range planning for the American strategy guys? I think there are only three people her from defense, which is interesting in itself. WITTES: Thank you. And if you could just pass the mic to Elise there in the corner. Q: Thank you. Elise Labott. I was wondering if we could dive a little bit more beyond the Palestinian issue into this new constellation of marriage of convenience between Israel and Saudi Arabia, also the UAE and Bahrain are involved. But I’m wondering if, you know, the crown prince’s cozying up to Israel and being willing to work on shared interests of Iran, but possibly beyond that—whether it’s helping on the Palestinian issue or even more cultural and social-type cooperation—does that kind of muffle a little bit of this disaffection for the crown prince in the region? Like, does that compensate a little bit? And whether—you know, where do you see that going? Thank you. MILLER: You know, the road to Washington in the minds of many powers—not just Middle Eastern powers—lies through Jerusalem. So, sure. Would it ameliorate, would it diffuse some of the opposition, MBS and Netanyahu? It might, if it were truly transformative. And I’m kind of wondering why it hasn’t occurred already, although Robert’s point may be right about King Salman as a brake and a constraint on his son. Just one additional point on the hundred-year war, as long as you have broken, dysfunctional, angry societies, the transnational jihadi narrative is going to continue to thrive. You know, and we keep using words like “defeat.” I mean, these groups are not like Japan and Germany, where we literally crushed their war-making capacity and, in Japan and Germany, created—helped to enable and create new societies that fundamentally discredited and delegitimized those narratives. We love declaring war on things—the war on drugs, the war on poverty, the war on mental illness, the war on cancer—which we will win. That war, we will win. But these are problems that are multifaceted. And so the answer is that narrative’s going to be around for a very long time. WITTES: So, Karen, as you have observed this delicate balance, especially among young people in the kingdom, do you see the jihadi narrative on the wane, or still on the rise? HOUSE: Well, it clearly is in public. You know, the difficulty is knowing, you know, what people who are too frightened to talk actually think. The—when I was doing my book, I got to go all over the country and meet all kinds of people. And so, you know, obviously the government now doesn’t set you up with conservative people. But you know, the ones I can still talk to, I would say not much has changed in their—in their view. WITTES: Amongst the conservatives, you’re saying. HOUSE: Yeah. That you’re here on Earth to earn your place in the next life. And what happens to you here is of no real consequence. You know, just get on about getting to paradise. And, you know, not all conservatives obviously believe—are prepared to act on, if you blow yourself up, you can get to paradise immediately. I’m not saying that. But you know, I can’t possibly give an intelligent, honest answer to that—to that question. You see a lot more—I mean, again, these young people were not—they were born even during the Gulf War, you know? HOUSE: Or 9/11. 9/11 is the Civil War to them. So you know, it’s a—the ones that talk to you do have a very different view. I think they’re not really interested in, you know, settling scores on the Palestinian issue, or being a terrorist. They just want a job and a nice life, you know, like a lot of American kids. But there are a lot of people who aren’t trained for that. So they have a much less rosy scenario. HOUSE: Yeah. What you wonder if how much does the crown prince know about the mood of his own people? Because, you know, he’s got ways the rest of us don’t have. But when you don’t allow kind of any venting of views, you know, it’s—he presumably is more adept at managing his society than I am. But you do wonder what—how does he actually know? WITTES: Yeah. What does the czar know, right? OK, let’s see if we can get one or two more in. Yes, sir. Q: Yeah. Kevin Sheehan from Multiplier Capital. I wanted to ask the panel about the red lines from the religious authorities in the 2030 plan and overall modernization. And if King Salman were no longer available to be a—to serve as a brake, wouldn’t there be a risk of coordination between disgruntled religious authorities and disgruntled family members who are, perhaps, veterans of the Ritz? WITTES: Ah, excellent question. And last one, right here, in the red tie. Yes, sir. Q: I have the exact same question and the gentleman did about succession and the likelihood of the succession not being a natural one and there bring a break at the time of—at the time King Salman passes. WITTES: OK. So this is a delicate moment, this moment of transfer of rule to the next generation, amidst a lot of potential grievance, where we could see a coalition—an opposition coalition emerge to challenge Mohammad bin Salman’s taking the throne. So who wants to tackle that one? HOUSE: Don’t bet your life savings on it. (Laughter.) He does control the levers of power. And there are lots of royals who, I’m sure, are not praying for his longevity. And that’s certainly true of some of the religious people who he has fundamentally suppressed, though he goes to visit them at their homes to show respect. I think when the king dies, he will become king. You know, again, the test for him is actually achieving something, since he’s putting his faith in providing for a younger generation, not in the iron control of the religious authorities. But he is susceptible. As people point out, there are at least 7(,000) or 8,000 princes, and many more in the family and in the public, who he is susceptible to what happened to his uncle, King Faisal. But I think absent that, he will take over when his father dies, because he’s crown prince. And the second the king draws his last breath, he’s king. And then when you’re king, he’s even more powerful. JORDAN: The only crack in that might be if MBS continues his path of recklessness and irresponsibility in a way that manifests concrete and direct harm to the kingdom on a really large level, and then you might see some of the security forces—especially the national guard, with the assistance or encouragement of members of the family—do something about it. He has replaced the heads of the national guard, the military, and the ministry of interior with his own people, for obvious reasons. But it doesn’t mean the rank and file are personally loyal to him. For years, they were loyal—the national guard was loyal to King Abdullah. And the line of King Abdullah and his son Miteb may still resonate with the rank and file and the national guard. I put it at a very low percentage possibility. I think it would take something colossal on the part of MBS. I would have said that about killing a journalist, but it probably would go beyond that, coupled with perhaps some seething resentment, and a bad economy. WITTES: Aaron, any last words?